The wine season has started and we are inviting You to Open Wineries day, in French called Caves Ouvertes, to visit many wineries in Geneva's countryside, taste good wines, have a snack or lunch and enjoy a beautiful day with some entertainment prepared for Your children. Thousands of visitors are regularly attending this popular event, from 1987, as it is nice to see all the Geneva wine cellars open on Saturday. If You want insider tip, Satigny is a nice place to go with a few wine cellars to visit and wines to taste. After tasting, the wine bottles can be bought as well. Date: Saturday, 30th May 2015 from 10am to 6:00pm. Some wineries are also open one day before and one day after. Wine is usually being served until 5pm, after that people settle down for a dinner together and drink bought wine. Tip: Already impatient? Visit the Open Wineries Day of Valais region, 14 15 16 May 2015, or Open Wineries Day of Vaud region, 23 24 May 2015 (10h-18h). Location: At nearly all (90) wineries in Canton of Geneva. See few examples below. Domaine du Centaure Claude Ramu, 480, Rte du Mandement, 1283 Dardagny. This list is not exhaustive. 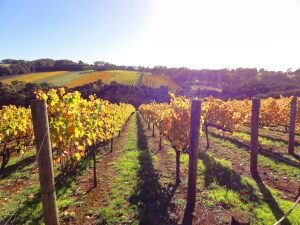 Head to any of these wineries and they will help You with further ones. Price: Free entry to the wineries. 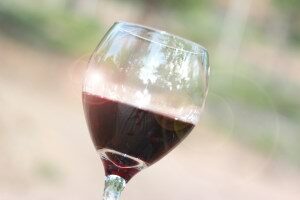 Upon buying a wine glass for 5CHF, You will get free wine sampling in all participating wineries. For a huge interest, it is not possible to have a clean glasses for every person at every winery, that's why You will have Your one glass. There is also an special offer available from Geneva Tourism: For 73CHF You can get a wine tasting cup for this event, T-shirt, 1 day Geneva Pass and 1 hotel room for one night, with breakfast. Transportation: There will be free shuttle buses going to wineries. Many people also use bicycles or cars. Shuttle 1: start from Noirettes, Russin and continues to Les Tilleuls, Dardagny, Essertines, Noirettes. Goes every 5 minutes from 10am to 7pm. Shuttle 2: starts at train station La Plaine-Gare and continues to Russin, Noirettes (the same stop as shuttle #1), Peney-Dessus, Satigny-Gare, Satigny, Taboret, Le Châtelet, Noirettes, Russin, La Plaine-Gare. Goes every 20 minutes from 10am to 7pm. For train connection from Geneva to Satigny-Gare or La Plaine-Gare, use the route planner. For example, train from Cornavin to Satigny-Gare goes on Saturday at 9:47, 10:17, 10:47 and the trip takes 12 minutes. Shuttle 2 then stops at Satigny-Gare, so You can effortlessly join in start wine tour. Bicycle is the most popular way of transport, kind of tradition, at the open wineries day. It is possibe to rent bicycle for great value at several locations at the Genève Roule (first 4 hours for free, passport required). Most wineries are sitated in small willages accessible by car. Popularity of the event make up for a big traffic jam, so either go early or park Your car at the periphery of the willage. Please note: Switzerland alcohol driving limit is 0,05% of alcohol in blood (50mg of alcohol per 100ml of blood), which is equivalent to 1 glass of wine. More information: Call Geneva Office for Promotion of Agricultural Products: +41(0)79 357 85 52. Or visit Geneva's tourist information center. There is not much written on the internet.